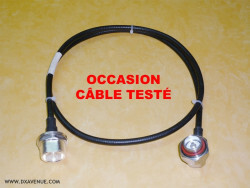 Câble 50Ω RG-223/U (5,3 mm) double tresse argentée équipé de deux connecteurs N : 1 droit mâle Telegartner + 1 femelle de chassis filetage 20 mm﻿. Cordon non fabriqué par DX AVENUE mais testé à l'analyseur de réseau. 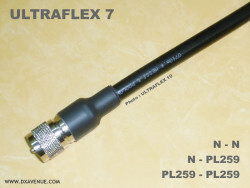 50 Ohms 7.3mm coaxial cable ULTRAFLEX 7. Sold by the metre. 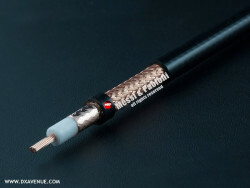 Mounting of your connectors on ULTRAFLEX 10 and protection by a heat-shrink sleeve including a thermoplastic resin. 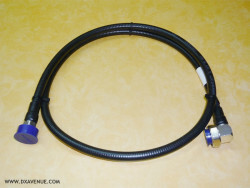 Mounting of your connectors on ULTRAFLEX 7 and protection by a heat-shrink sleeve including a thermoplastic resin. 50 Ohms 10.3mm coaxial cable ULTRAFLEX 10. Sold by the metre. Professional coaxial jumper. 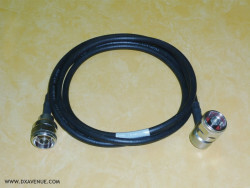 50 Ohms 1/2" superflexible coaxial RosenbergerSLink SL 012S PE﻿﻿ provided with two DIN 7/16 connectors (1 straight female + 1 right-angle male)﻿. 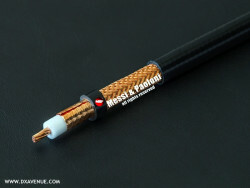 Length: 1,50m. 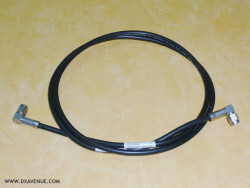 Professional low loss pigtail. 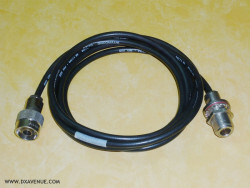 50 Ohms coaxial SUHNER S03262 B-60﻿﻿ (4.6mm) provided with two SMA-male right angle connectors﻿. 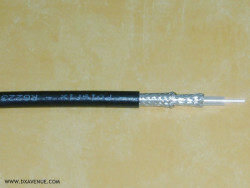 Length: 103cm.